Value investors often have a tough time when it comes to tech. They shun the sector when everyone loves it and usually wait for stock prices (and their profits) to cool off before buying big Silicon Valley companies. David Winters of Wintergreen Advisers is the same way. The activist investor, who is arguably most well-known for going to war with Coca-Cola (KO) in 2014 over its compensation plan, is not a big tech fan at all. Winters even refers to a group of (mostly) tech companies that dominate the market as the "Terrible Ten" -- Amazon (AMZN), Apple (AAPL), Google owner Alphabet (GOOGL), eBay (EBAY), Facebook (FB), Microsoft (MSFT), Priceline (PCLN), Netflix (NFLX), Salesforce (CRM) and Starbucks (SBUX). 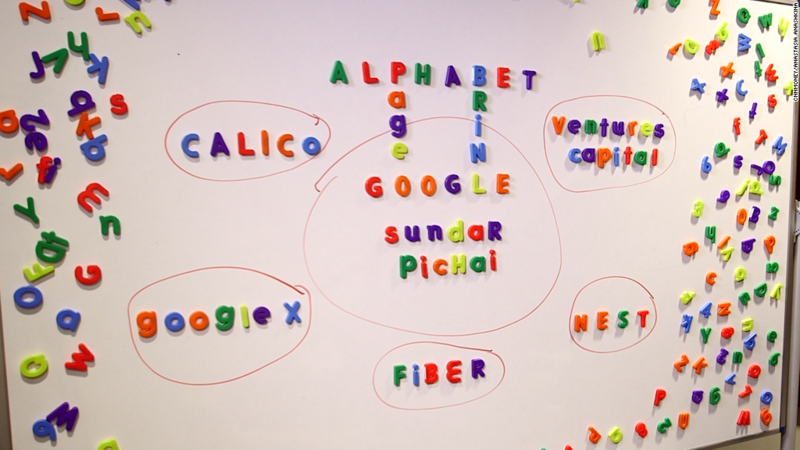 But one of his top holdings is Alphabet -- which for the sake of user friendliness I'll now just refer to as Google. "We bought it during a time of tremendous skepticism. But they continue to go from strength to strength," he said, referring to Google's dominance in search, online video via YouTube and mobile through its Android operating system. Winters said that what he likes best about Google is that it is more like a "modern media company" than tech. And he has historically invested in newspapers and TV operators because of their steady revenue and earnings growth. Winters also raved about Google's hiring of Ruth Porat, formerly of Morgan Stanley (MS), as the company's CFO. Many investors have praised Porat for helping bring about a little more financial discipline at Google. The company had been criticized in the past for spending a little too aggressively on "moonshot" bets that didn't have an immediate (or in some cases even obvious) payoff. "Google has done a lot more shareholder friendly things since they brought Ruth Porat in," he said. "But they are still innovating." The Alphabet financial structure, which makes it easier for investors to see just how much revenue and profit individual business are bringing in, is a perfect example. Google announced the Alphabet move just a few months after Porat joined. Still, Winters frets about the rest of the tech sector. He even dropped the dreaded B word during our conversation. "I'm worried about a tech bubble," he said." A lot of other techs are not producing the types of new products to capture people's imagination. So there is a lot of risk for other tech stocks." Winters mentioned Apple specifically as one that he's concerned about. He's not alone, as many investors grow nervous about what Apple has up its sleeve now that the iPhone is showing signs of maturation. "Apple makes some wonderful products, but the issue from our perspective is that it's been awhile since they've come up with something new to capture people's imagination," he said. "I worry that other tech highfliers are in that same situation." At the end of the day, Winters is a classic contrarian investor. So it makes sense that he would not own many big tech stocks. He zigs when the market zags. It's why he still likes many tobacco stocks too, even as other institutional investors have started to dump them due to health concerns and the social backlash against smoking. Winters takes a more pragmatic approach to the group. Reynolds American (RAI), British American Tobacco (BTI) and Altria (MO) are among three of his top five holdings. "We don't advocate smoking. But adults choose to smoke and the business has the ability to raise prices," he said, adding that he's a fan of the cigarette makers' big dividends. So what about Coke then? It's been targeted for peddling sugary drinks to an increasingly overweight population. Winters didn't seem concerned. His main gripe was with how much money it was spending on its C-suite executives. Even longtime Coke fan Buffett agreed with that assessment. Coke eventually bowed to pressure and modified the plan, putting more focus on cash awards as opposed to stock options. And Winters still owns Coke stock. "To a large extent, Coke has implemented everything we requested. We consider it a victory," he said. "They changed the egregious compensation plan. We're pleased they've taken us seriously."